In a Nutshell: By networking with professional suppliers and major partners, TicketCity sells tickets to over 100,000 events and concerts across the country. 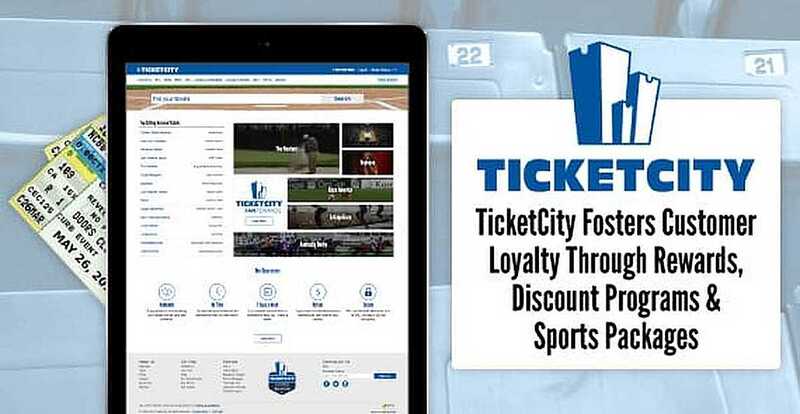 Building customer loyalty — through TicketCity’s soon-to-be-updated rewards program, loyalty offers, discounts, and curated sports packages — makes the online ticket seller stand out from big-box competitors and keeps avid fans coming back for more. When I found out Florence + The Machine had just released her first US tour dates, I immediately grabbed my phone and Googled concert tickets to see her perform live. Finding an online ticket seller was easy, but finding the right seats wasn’t. I couldn’t view any charts or pictures of the venue to show me if the seats I had selected were near the stage or up in the nose-bleeds section. Feeling disappointed after tons of searching, I put my phone away and, needless to say, didn’t buy any tickets. My experience is just one snapshot out of countless other fans who try to find the right seats at the right price; either the prices are inflated too high or the seating options just aren’t there. Instead of building up adrenaline with the thought of seeing a favorite player or singer in person, fans deflate from the dreaded ticket-hunting rat race. TicketCity, a seasoned online ticket seller, understands this frustrating experience all too well. By building an easy-to-use search platform and pulling together a team of ticket experts, TicketCity created a solution to help fans enjoy the find-and-buy-your-tickets experience. The company even went as far as putting the “cherry on top” of the process by offering rewards and discount programs. Customers aren’t just another number to TicketCity; they’re viewed as spirited fans who deserve to enjoy an event from start to finish. Randy Cohen wanted to watch the Texas Longhorns play during March Madness and was disappointed by how hard it was to find tickets. Frustrated with the overall ticket-buying process, he decided to do something about it. Starting out with four employees and one computer tucked away in a small office, Cohen launched TicketCity in Austin, Texas in 1990. Through hard work and expert knowledge of the industry, the online ticket marketplace launched real-time ticketing back in 2001 and recently sold its 1 millionth ticket in 2015. More and more partners joined with TicketCity to provide authentic, affordable tickets for thousands of fans in the US, making it one of the best ticket sellers in the market. From watching The Masters to Beyonce performing live, TicketCity sells tickets to more than 100,000 concerts, sporting events, and shows in the US. Despite being small, the company’s attention to detail sets them apart from competitors like StubHub or Ticketmaster. Cohen and the TicketCity team are not only available to answer questions by phone or live chat but also provide expert knowledge on events. Most staff members are frequent concert-goers and attend many of the same sporting events, so they are more than willing to let fans pick their brains for minute details and information. The TicketCity team has over 25 years of experience, but they’ve been around longer than any of the other major ticket marketplaces. Offering valuable knowledge is just one perk of using TicketCity as a first-choice ticket seller. Fans can also trust the approval process that each ticket goes through before it’s available to the public, relieving skepticism for all types of buyers. Every ticket is authenticated and competitively priced at TicketCity. Once tickets are purchased from a distributor, they are backed up by the TicketCity Guarantee, which means fans will either receive their tickets on time or they can get their money back. When looking for tickets, fans can browse through individual sports categories to find a specific event. The easy-to-use search even offers tabs for individual teams, so finding Miami Heat or the British Open tickets is a breeze. 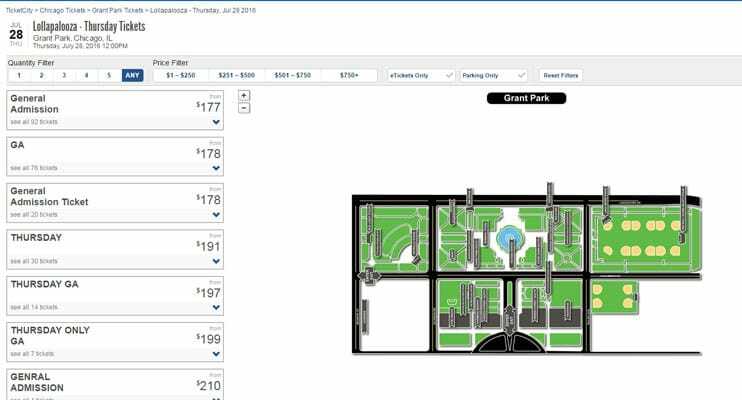 Fans don’t have to book tickets “blindly” — they can see exactly where they’ll be sitting at the venue. Fans can also rely on TicketCity to help them with each step in the ticket-buying process — even the event itself. For instance, if a customer purchases one of TicketCity’s sports travel packages, a staff of enthusiastic employees will be on-site to make sure everything is taken care of during the event. This type of dedication is what sets them apart from competitors. Because the TicketCity team attends many of these events themselves, they can provide expert knowledge when it comes to looking for and purchasing tickets. A lot goes into selling tickets for over 100,000 events, but it comes down to one important value for TicketCity — creating customer loyalty. Fans can choose from all-inclusive sports travel packages or or other discount or group offers to heighten their experience at a show or game. 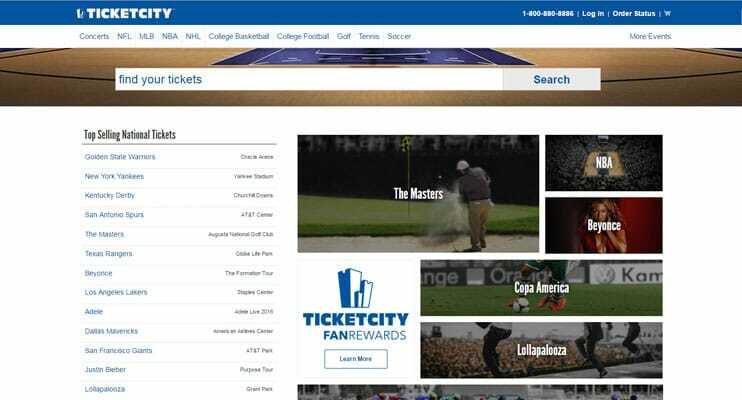 TicketCity also looks for new opportunities to further engage and reward fans, such as its recent announcement for college football fans looking for last-minute bargains — a digital Happy Hour promotion during the fall 2018 season. And, while most big ticket sites just sell tickets, TicketCity sells experiences, including private transportation, on-site concierge, and exclusive hotel lodging, making it a true partner for improved customer experiences. For example, through curated sports packages, TicketCity offers unparalleled experiences. The TicketCity Sports Travel Team knows attending the Kentucky Derby or Super Bowl is typically on a fan’s sports bucket list, so the company created a team that specializes in pulling together all-in-inclusive packages that offer a once-in-a-lifetime experience. If a fan is interested in watching the Ryder Cup championship, he or she can buy a package that includes hotel reservations, ground passes, ticket upgrades, and personal, on-site service. TicketCity offers many exclusive packages that keep fans engaged and excited — planning dream ticket purchases that they can’t wait to get their hands on at a fair price. And, with a revamped rewards program on the way, TicketCity users have even more to look forward to. As TicketCity continues to be one of the leading ticket providers, fans can expect to find more ways of making their experiences better, such as a seamless checkout experience to VIP extras at the event. Enhancing customer loyalty is just one way TicketCity prospers in the ticketing business, despite being a small company. Taking bad experiences and creating easy solutions will always win over customers. It shows that the team members behind TicketCity loves what they do — working with a product that lead to fun experiences and memories for their clients.